There are many restaurants in Stratford-upon-Avon as well as many in the surrounding countryside. Almost every taste from across the world is reflected in the many restaurants, inns and bistros. Most offer lunchtime and evening meals and quite a few are open all day, some serving pre theatre and post theatre meals. These restaurants , provide a wide selection of cuisines, international and local. There is also a wide range of prices to suit your pocket. The Garden Room Restaurant at the Best Western Grosvenor Hotel in Stratford upon Avon serves an array of modern cuisine freshly prepared by our highly skilled team of Chefs. 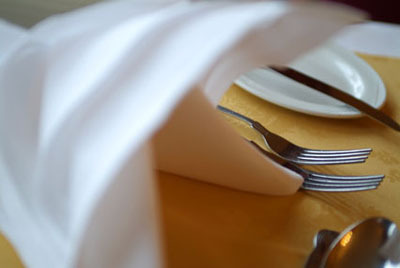 The popular Stratford upon Avon Restaurant is open for Breakfast, Lunch and Dinner and offers a wide choice of dishes on table dhote and a la carté menus. We have a cosy restaurant offering a range of English and Sicilian cuisine, full English or continental breakfast (locally sourced ingredients). When the weather is fine why not dine alfresco in our attractive courtyard gardens. For those on business we have a small meeting room, for a more informal breakfast meeting just use our orangery. Weddings, small events and functions also catered for. The Garden Room Restaurant offers a wide choice of menus with something to suit everyone, from a tasty breakfast, a relaxing dinner or even our fabulous Sunday Carvery Lunch. Join us for dinner and be assured that each dish has been prepared with the emphasis on flavour and freshness using only the finest quality ingredients. The Pudding Club, Mickleton, Chipping Campden, 01386 438429. The award winning Three Ways House Restaurant is situated within the picturesque village of Mickleton , Chipping Campden, Gloucestershire. Its open every evening to non-residents and offers a weekly changing menu utilising fresh, seasonal produce, sourced from in and around Chipping Campden and Gloucestershire wherever possible. The restaurant is also open every Sunday lunchtime and always features a buffet of Pudding Club puddings. Reservations are advisable. Our Lazy Sundays overnight offer on Sunday nights includes Sunday lunch - a brilliant way to finish your week. We are a fully licensed free house and serve a range of real ales, beers and have an excellent wine list. Our main menu is supplemented by the Specials Board offering a superb selection of meals including vegetarian dishes. Unwind in front of our roaring log fire during the winter months and in the summer, relax in our garden surrounded by beautiful woodland. We offer a separate menu for children. Join us for a traditional Roast Lunch on a Sunday, booking advised. With its' unusual building, situated in a quiet rural location, with a beautiful contemporary interior... With it's ample space, you may either dine in the brasserie... or if you are looking for a more relaxing ambience why not dine in the restaurant's bar area... or relax comfortably in the sofa area for a drink or two. Fusion can offer you: fine dining, light meals, tapas, superb wines and great beers. A traditional Family run Italian silver service restaurant elegantly decorated. On arrival, enjoy an aperitif in the excellent pre dinner drinks lounge with comfortable leather furniture. The restaurant itself offers stylish surroundings providing an informal and relaxing ambience whatever the occasion whether it is business, family or friends or a romantic meal for two.